This romantic, secluded, log cabin is the perfect place to relax, enjoy nature, see the sights of Brown County, and just have fun the old fashion way. Hyacinth Hill is a two bedroom, one bath log cabin with a large hot tub on the oversized back deck. 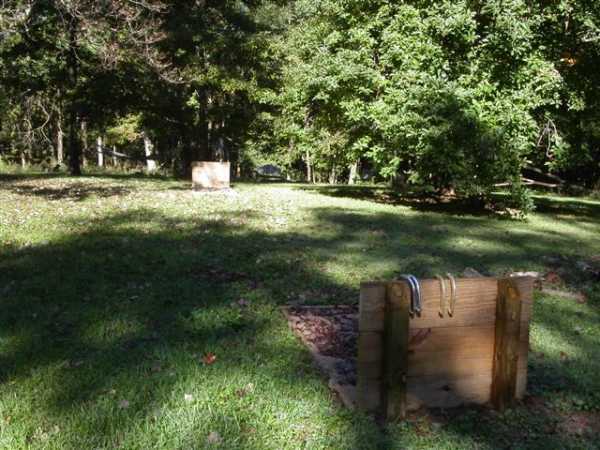 It sits on six acres, four acres are wooded and two acres are mowed, and has a large fishing pond. 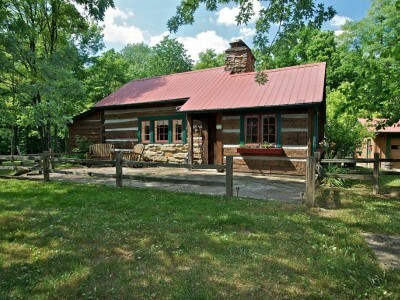 This charming log cabin has all the amenities, and then some. A fully equipped kitchen, a dining area that easily seats 6 and a wonderful living room featuring a Brown County stone fireplace with gas logs. All rooms are decorated with local arts and crafts. The log cabin is centrally located within a short drive to downtown Nashville, Brown County State Park, the flea markets in Gnawbone, and gold panning in Gatesville. If you decide to relax at the cabin there is still plenty to keep you busy. In addition to the fishing pond Hyacinth Hill also has a separate game room with a pool table, electronic dart board and stereo/CD player. 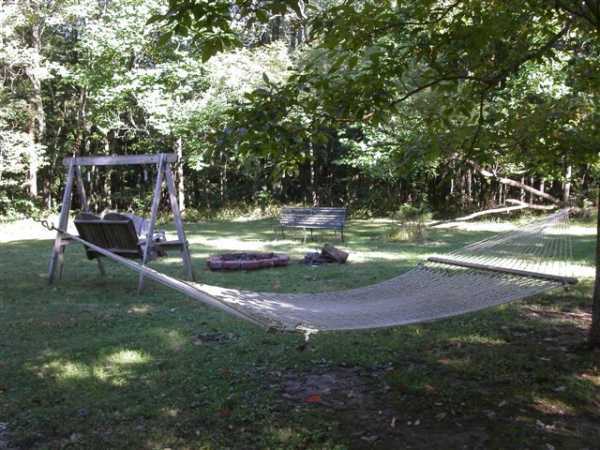 Just off the back deck is a regulation horseshoe pit, as well as an area for campfires, or you can just relax on the hammock and watch the stars. Come to Hyacinth Hill for your perfect Brown County experience.